We are proud to be celebrating PurpleStride New York City since 2009! When you Wage Hope at PurpleStride New York City 2019 Presented by Northwell Health Cancer Institute Pancreas Disease Center, the walk to end pancreatic cancer, you join a vibrant community of survivors, impacted families, loved ones, researchers and advocates committed to rewriting the future of this deadly disease. Your fundraising and participation directly funds efforts to help patients and families. Come out and stride with us at Prospect Park (Nethermead East)! The Erin Willett Trio will not only be performing the inspirational song, Hope's Alive, during the Opening Ceremonies for PurpleStride, but they are also performing several songs after the event's Closing Ceremonies. Be sure to stick around after the event to check out their incredible performance! The Opening Ceremonies highlight why it’s crucial to take action in this fight, from the words of a survivor or special guest. Find directions to the venue here. *The event village will be located in Nethermead East within Prospect Park. If taking a taxi or using a rideshare service (Uber, Lyft, Via, etc. ), the address to use is 101 Prospect Park Southwest. Although this address could be business/residential, the car can drop riders off on the corner. From there, it is just a short walk into the park. If using this as the drop-off location, it is the closest entrance point to the event village (which will be located in Nethermead East). As seen in the Google Maps image below, participants can walk from the drop-off location along Center Drive right into the event village (located in Nethermead East). Want to train on the route before the event? View the route map for this run/walk. We have partnered with two parking companies to provide parking options for the event. Please view the two options below. ParkWhiz is excited to provide PurpleStride participants with an easy way to pre-book a parking spot before driving to the event. View the closest parking options and reserve your space today. Be sure to include the promo code “PurpleStrideNYC2019” at checkout to receive 15% off! For any questions, please contact ParkWhiz directly. SpotAngels is an app that provides you with free on-street parking options. Please note that you must download the app to find parking. For any questions, please contact SpotAngels directly. 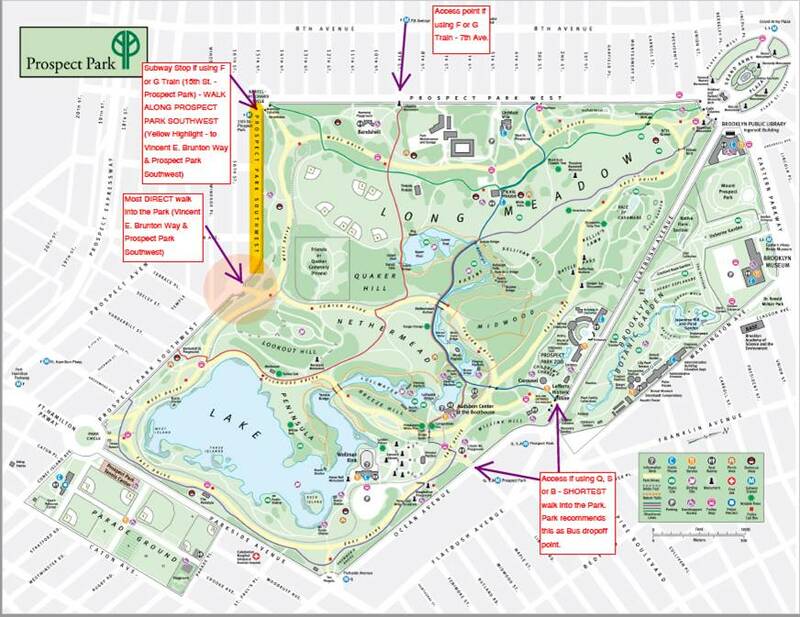 Please view the map below for the best access points into the venue for the event, taking place at Nethermead East in Prospect Park. You may click on it for an expanded version. We love animals just as much as you do! 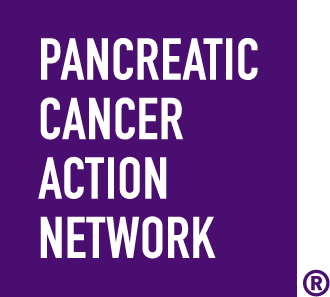 However, due to safety and liability reasons, pets are unfortunately not allowed at Pancreatic Cancer Action Network events. Service animals are, of course, welcome. Strollers and wheelchairs are absolutely welcome at PurpleStride! Youth registration is for children ages 3-12. Children ages 2 and younger are not required to register. Your registration fee will count toward your personal fundraising goal, and you’ll receive an email including your registration confirmation and tax information. Please note that registration fees are not tax-deductible. If you would like to mail-in your registration, download this form. Register by the dates listed below in order to secure these benefits. Registration will still be available at packet pick-up and on event day. Your mailed registration form must be received by this date in order to be processed for the event. Registration must be processed by this date in order to guarantee an event T-shirt. Beat the lines on event day by picking up your T-shirt at packet pick-up. Registration prices increase on event day, so make sure to invite friends and family to register at this time if they haven’t already done so! 11:30 a.m. to 2:30 p.m. & 4 p.m. to 7 p.m. on Thursday, April 11. Are you a Captain of a team who’d like to pick up packets for your entire team? RSVP in advance so that you get your materials quicker at packet pick-up. If you decide to pick up for your entire team (please, no partial team pick-ups), make sure to let each member know so that there isn’t any confusion! We are pleased to announce that Ron Claiborne will be returning as a Special Guest for PurpleStride New York City! Ron Claiborne retired in September 2018 after 32 years at ABC News as a national correspondent and news reader for Good Morning America Weekend show. Claiborne joined ABC News in 1986 and was based in New York, Boston, Miami, Chicago and Los Angeles, reporting for "World News with Diane Sawyer" and "Good Morning America." In his career, he reported from over 40 countries including places such as Iraq, Afghanistan, the Persian Gulf, China, Cuba, South Africa and countries in Africa, South America and Europe. He was also a reporter for WNEW-TV in New York, the New York Daily News and United Press International. Claiborne earned an MS in journalism in 1975 from the Columbia University Graduate School of Journalism. He received a BA in psychology from Yale College. He is a native of San Francisco, Calif., and grew up in Oakland, Calif., and Los Angeles. Since his retirement, he spent two months traveling around the world, including volunteer projects in Tanzania with Global Volunteers and at a wildlife refuge in Entebbe, Uganda. He continues to volunteer regularly as a reading and writing tutor in New York City. We are pleased to welcome Erin Willett as a Special Guest for PurpleStride New York City! Erin Willett is a Musician, Personality- but like us all, she is human. Born and raised in Gaithersburg, MD Erin always embodied so much joy when she was in front of an audience. Following her graduation from Hofstra University, Erin was a semi-finalist on Season 2 of The Voice. During the show, Erin’s father, Chuck, passed away from stage 4 pancreatic cancer and she began her fight with Pancreatic Cancer Action Network as an Influencer of Hope. In a move to change her life, Erin was asked to be a contestant on Season 17 of The Biggest Loser where she lost 87 lbs. Since traveling the world inspiring others through musical performances and speaking engagements, Erin has learned to share every aspect of her world with her fans, and remind herself in the process that we are all human and we are learning as we go. In 2018, Erin dedicated her year to travel the world performing, “Hope’s Alive” an anthem of Hope for Pancreatic Cancer Action Network. All money raised from sales and streaming goes back to the organization in hopes to change the outcome of a pancreatic cancer diagnosis. Erin continues to share her journey as a radio personality on Entercom stations and upcoming performances can be found at www.ErinWillett.com. Hannah Skelton: Hannah is a junior at West Essex High School. A member of the National Honor Society, the field hockey team, and participates in the annual school musical. She has been a national speaker for both the Pancreatic Cancer Action Network (PanCAN) and the AVON Walk for Breast Cancer. In her free time, she is busy touring colleges. William Skelton: William is in 8th grade at West Essex Middle School. He plays lacrosse and has recently qualified for the National History Bee in Chicago. He has personally advocated to members of Congress for funding for pancreatic cancer research. William’s passion is supporting homeless dogs through his work with New Jersey Boxer Rescue. The Skelton family has raised over $150,000 for the Pancreatic Cancer Action Network since David’s death. Still have questions or want to find out more? We’re here to help! Contact the appropriate individuals below.